Google's Senior Vice President of Hardware Rick Osterloh made the announcement in a blog post on Wednesday afternoon. The move comes after Nest had "doubled its hardware portfolio" in a year, and sold more devices than the company had sold in the past two years. The goal is to supercharge Nest's mission: to create a more thoughtful home, one that takes care of the people inside it and the world around it. By working together, we'll continue to combine hardware, software and services to create a home that's safer, friendlier to the environment, smarter and even helps you save money—built with Google's artificial intelligence and the Assistant at the core. "All of Google's investments in machine learning and AI, they can very clearly benefit Nest products. It just makes sense to be developing them together," Osterloh said in an interview with Cnet about the merging. "It's the natural thing to evolve to." The company notes that the Google and Nest teams already work closely, so little, if any, disruption is likely. Before his ultimate departure from Apple following the iPod's development, Tony Fadell set out to build a new home, and in the process found a market opportunity for a smart thermostat to better control climate control systems. As a result, Fadell founded Nest Labs in 2010. Shortly thereafter, in 2011, the first generation Nest Learning Thermostat shipped. On May 30, 2012, the Nest appeared at the Apple online and retail stores started stocking it. On January 13, 2014, Google purchased Nest Labs for $3.2 billion. 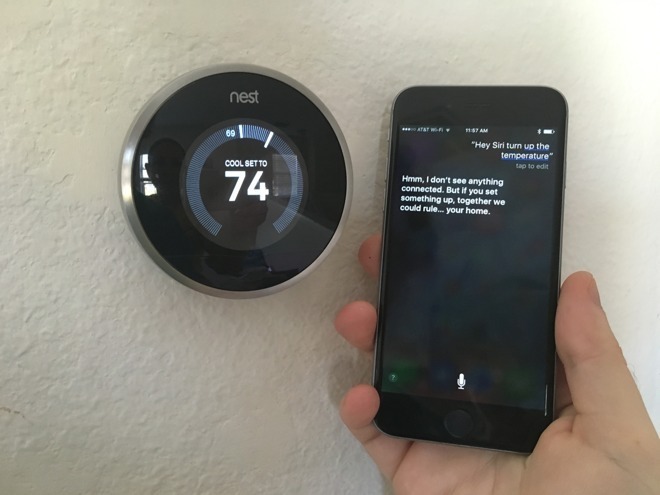 Apple pulled the Nest from store shelves on July 22 of 2015.